Official Obituary of Ken Keyes Jr.
Official Obituary for Ken Keyes Jr.
Ken Keyes Jr., personal growth leader and longtime peace advocate died of kidney failure in Coos Bay, Oregon December 20, 1995 at the age of 74. Ken was the author of million copy selling books Handbook to Higher Consciousness and The Hundredth Monkey . A memorial service to celebrate his life will be held at his Caring Rapid Healing Center, 1620 Thompson Road, Coos Bay, Oregon at 11:30 A.M. Wednesday December 27. Please join us in love and friendship to honor his contribution to us all. Ken is survived by his wife Lydia, daughter Clara Hardin and grandson Casey and son Ken Keyes III. "We are made for loving. If we don’t love, we will be like plants without water. Ken Keyes like an expert, teaches us how to be truly human through the power of unconditional love. Our hope for survival depends on learning to love ourselves and one another unconditionally — and he shows us how." Ken Keyes’ books convey profound wisdom and make it practical with elegant simplicity. "Your books have made an enormous difference in the quality of life on this planet and your love has reached into all of our hearts." "It is time for the entire world to know about the human being in the back of all those empowering books produced by Ken Keyes. He not only writes about transformation and higher consciousness, it was his destiny to live it each and every day and ultimately to become a rôle model for all of us." On each page of Ken’s book, his gentleness, clarity and patience can be felt. His is the completely refreshing voice of a unique and truly spiritual person. The books are a blessing." Ken Keyes’ books are major contributions to the sorely needed science of love. I know him personally and see him modeling the love he speaks about. "Ken Keyes’ books on love are like fresh air — clean, refreshing and a source for always staying alive." The popular award-winning author of 15 books had recently opened the Caring Rapid Healing Center in Coos Bay. COOS BAY — Ken Keyes Jr., a pioneer in the personal growth field and author of several popular books, has died of kidney failure at the age of 74. Keyes died Wednesday at Bay Area hospital in Coos Bay. He moved to Coos Bay in 1982 and recently opened the Caring Rapid Healing Center in the coastal town. Keyes was the author of 15 books, including Handbook to Higher Consciousness and The Hundredth Monkey His most recent book Your Road Map to Lifelong Happiness was published in June. According to the Caring Rapid Healing Center, 4 million copies of Keyes books are in print in at least seven languages. In 1989, Keyes received a peace award from Arizona State University for his contribution to world peace. Keyes used a wheelchair as a result of polio he contracted in 1946. In his book " Discovering the Secrets of Happiness he said his life had been enriched by his illness. Because without it he wrote, "I do not think I would have discovered the personal growth methods that have meant so much to me." Ellis Saltzman, a spokesman for the Caring Rapid Healing Center, said the center would continue intensive personal growth work. Keyes is survived by his wife Lydia, a daughter, Carla Hardin of Sante Fe, N.M.; son Ken Keyes III of Miami; and one grandchild. A memorial service is scheduled for 11:30 a.m. Wednesday at the Caring Rapid Healing Center in Coos Bay. Ken Keyes was the originator of Caring Rapid Healing and a Member American Counseling Association. 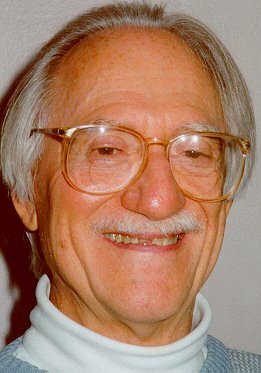 Personal Growth leader and longtime peace advocate, Ken Keyes Jr. died of kidney failure at Bay Area Hospital in Coos Bay Oregon, 1995-12-20 at the age of 74. In the early 1970s, Keyes authored million copy sellers of such books as Handbook to Higher Consciousness and The Hundredth Monkey . In 1989 he received the Arizona State University Peace Prize for his contribution to world peace. His most recent book, Your Road Map to Lifelong Happiness was published this past June. A culmination of his lifetime inquiry into the area of human development, Keyes considered this book his Magnum Opus. There are currently over 4 million copies of his books in print in at least seven different languages. Still actively involved in the field of personal growth, he had recently opened the Caring Rapid Healing Center in Coos Bay where he was doing one-on-one private sessions to facilitate the healing of inner child wounds. Just prior to his death, Keyes discussed his workshop. "I teach workshop facilitators not to give any advice, or to tell the participant how they should think or feel. We simply teach our participants a new three-part technique that enables them to heal themselves. We do not diagnose; we do not analyze or assist in offering solutions to problems. The solutions are all within. Our minds only need to be given a chance to complete the natural healing process to find the wisest way, to deal with anything that comes up in daily life." The five-day workshop has been routinely producing astounding mental healings. His private 5-day workshop creates a haven of safety for the unconscious mind of the participants. This encourages the unconscious to express the grief and anger that it was not safe to let out before. Keyes finds that the time-honored method of emotional discharge, with rapid eye movements, plus his method of catalyzing the thinking-feeling connection produces an accelerated healing of the human mind. The work that Keyes began at his Caring Rapid Healing Center will be carried on by its facilitators. Lee McFadden, who has been associated with Ken for more than 10 years says "Ken laid out a framework for the healing of the planet through the healing of ourselves individually. His lifelong commitment to people obtaining personal happiness and peace of mind doesn’t have to end with his death. We have a core group of people here at the Center personally trained by Ken who are committed to carrying on this important work." In February of 1946, Keyes was struck down by polio and spent the remainder of his years confined to a wheelchair as a quadriplegic. He indicated in his book Discovering the Secrets of Happiness , that he sees his life as having been enriched by polio — "because without it, I do not think I would have discovered the personal growth methods that have meant so much to me. Perhaps I would have been so caught up in the business and social rat race that I wouldn’t have sat still long enough to study my security, sensation and power illusions — and then discover how to deal with them so I could open up my heart to loving more. My reality is that I am far too busy and involved in my life activities to have time to concern myself with self-consciousness in the wheelchair department. Today I view my so-called handicap as another gift my life has offered me." A memorial service to celebrate his life will be held at his Caring Rapid Healing Center, 1620 Thompson Road, Coos Bay, Oregon at 11:30 A.M. Wednesday December 27. Please join us in love and friendship to honor his contribution to us all. Information about the service can be obtained by calling the center at (541) 267-4232. Keyes is survived by his wife Lydia, a daughter Carla Hardin and a grandson Casey of Sante Fe, New Mexico and son Ken Keyes III of Miami, Florida. In the early 1970’s Ken Keyes, Jr. left his home on a luxurious yacht and a lucrative business in real estate, with gross sales in the millions, to dedicate his life to helping others. His decision came after an intensive inner awakening. His new life focus was for inner peace and unconditional love for all. He wrote the now classic Handbook to Higher Consciousness , which contains the ideas he had learned and began to give weekend seminars across the nation. The Handbook became (and continues to be) a best-seller with over a million in print in seven languages. He has written a dozen books, including another classic, The Hundredth Monkey and later Planethood which tells what an individual can do about the worldwide threat of nuclear war. For over 25 years, Ken lead personal growth workshops throughout the United States and in other countries. At his death, Ken was the founding director of the Caring Rapid Healing Center in Coos Bay, Oregon. He facilitated individual and group workshops. These workshops are designed to enable individuals to rapidly transcend the roadblocks that are in the way of happiness, fulfillment and inner peace. With about four million copies of his books in print, Ken Keyes Jr. was a leading figure in the fields of personal growth and world peace. Ken appeared on nation-wide television in Australia and gave presentations to the Association of Transpersonal Psychology. He appeared on San Francisco’s radio program, New Dimensions. He was on a panel for the Public Broadcasting System’s adopted program How Then Shall We Live. He spoke at the 1987 New Visions Conference at the World Peace Center in Houston; and lectured at an In Search of America Conference at Stanford University. In 1989 he received a peace Award at Arizona State University for his contribution to world peace. Ken lived in Coos Bay, Oregon where he wrote, spoke and gave workshops. Your Life Is A Gift: So Make the Most of It! For more detail see books by Ken Keyes with, a short description of each and ISBN (International Standard Book Number) references to order them at Amazon.com. via Internet email for <Roedy Green> (250) 361-9093 or Angela@portal.ca <Angela Wensley>.